ALL Melanesian Spearhead Group (MSG) member countries have been invited to participate at this year’s festival in Honiara. That’s according to the 6th Melanesian Arts and Cultural Festival (MACFest) National Organising Committee. Committee chair and Permanent Secretary of the Ministry of Culture and Tourism, Andrew Nihopara, made the clarification amidst concerns and sentiments raised by certain groups and individuals about the absence of the Melanesian provinces of Indonesia at the festival. “My committee has formally invited all members including Melanesians in other countries such as Indonesia, Timor Leste and the Torres Strait Islands of Australia,” Mr Nihopara said. “The absence of the Melanesian Provinces of Indonesia, including the Papua and West Papuan provinces,is a matter for the Indonesian Government to clarify,” he added. “We have sent an invitation to Jakarta through the normal government process but we have not received any response from them. Mr Nihopara said for groups and individuals to blame the Government, especially; the National Organising Committee for failing to invite Melanesians in Indonesia is baseless and unfounded. “My Committee has prepared a traditional hut for the Melanesian provinces of Indonesia at the main Festival Village in anticipation of their participation but we have not received any response from Jakarta following our formal invitation despite numerous attempts,” he explained. 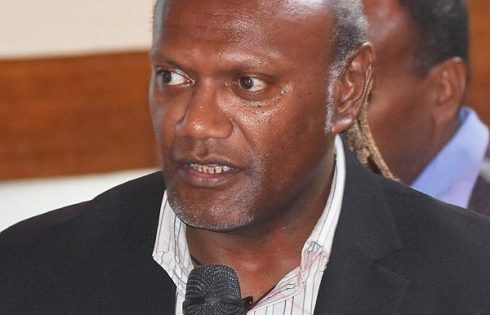 Meanwhile, Mr Nihopara said the incident last Saturday where Police have confiscated the West Papuan Morning Star flag from a local human rights activist was an isolated incident unrelated to MACFest. He said such groups and individuals have the right to voice their concerns but there are proper processes to follow in order to avoid confrontations and problems with law enforcement officers at the festival. Mr Nihopara said the MACFest-NOC is doing its best to bring in representatives from the Melanesian Provinces of Indonesia to share and promote their Melanesian culture and identity at the festival but have not received any response through official channels in Jakarta. He encouraged the Public to respect the festival and to avoid causing any uncalled-for situation to the current peaceful situation enjoyed at the festival. Mr Nihopara said police presence at the main festival venues is aimed at maintaining law and order at the festival in the interest of national security. The festival will formally close today.